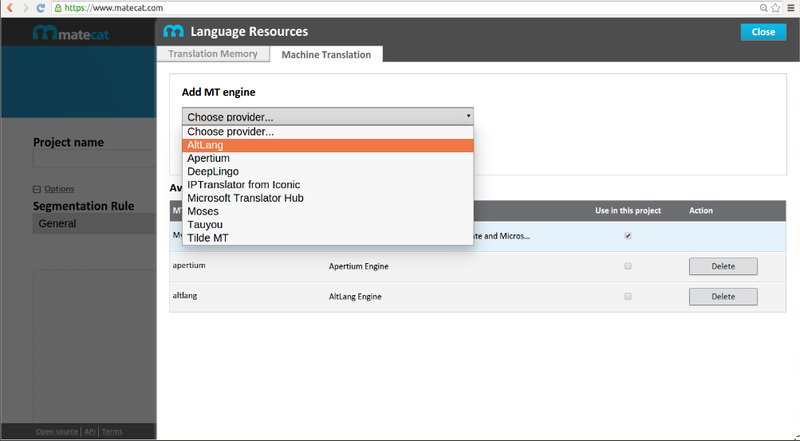 a language variety converter that helps you deliver content in different varieties of the same language, e.g. from European French to Canadian French. Try it out registering at www.altlang.net or follow us on Twitter (@AltLang_net) to stay tuned! 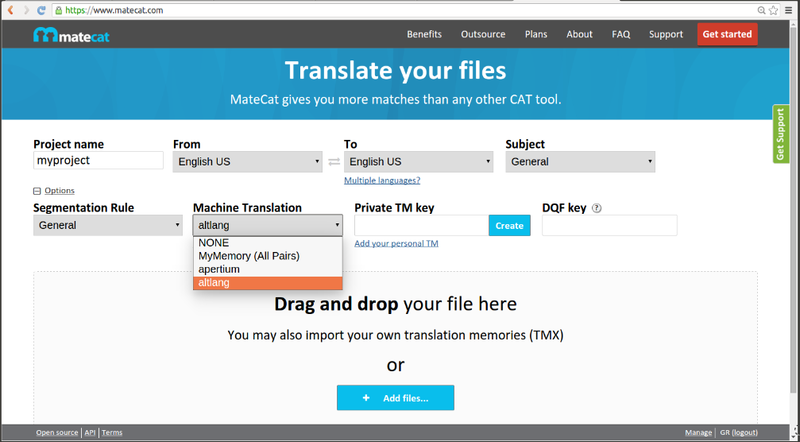 Prompsit is offering AltLang inside MateCat for free for 6 months!!! And AltLang will be available whenever you need it (provided that you are logged in!). AltLang is fully customisable and changes with you! We are really happy to hear from you if you find a new conversion to add to it in any of the varieties. We are also able to develop new varieties for existing languages or for new ones. If you have something like this in mind, contact Prompsit using the form below.